Maintaining your drinking water system ensures public health and quality of life for your community members. So what can you do to protect your community? There are a number of practices utilities can implement to responsibly plan and maintain our drinking water systems. Incorporated in 1921, the Village of Westmont, Illinois’ original water mains were constructed of sand cast iron. By the 1970s Westmont, located in DuPage County, Illinois was seeing a large increase in water main breaks, averaging 150 per year by 1990. In 1991, knowing it was going to switch to Lake Michigan for water supply, the Village decided to start an aggressive water main replacement program. This was a good idea: Within the first five minutes of receiving its new water source, the Village had eight water main breaks throughout town, 40 within the first week and 120 after the first month. By the end of the year Westmont had 246 water main breaks—which further confirmed its new water main replacement program was necessary. From 1991 to 2016, the Village replaced over 18 miles of water main, 300 fire hydrants and 250 valves. This $15 million program was funded through the Water Enterprise Fund, federal grant money during the American Recovery and Reinvestment Act (ARRA) in 2009 and a low-interest loan from the State Revolving Fund (SRF). Westmont has seen a drop in annual water main breaks from a high of 246 in 1992 to just 18 in 2016. The savings to the community since starting the program is just over $11 million, based on avoided overtime, materials, equipment and lost revenue. When this program is completed in 2021, Westmont will have no sand cast iron water mains in its system, and no fire hydrants or valves older than 1975. Through this long-term water main replacement program, Westmont learned that an expensive investment will pay for itself over time and reduce unnecessary drinking water waste in the process. Part of a robust asset management program is regular capital improvement planning; these two practices should be interlinked. A Capital Improvement Plan (CIP) provides a mechanism for decision making, a link to long-range plans, a financial management tool and a reporting document. A capital improvement plan (CIP) is a multi-year plan identifying capital projects to be funded during that time. These plans identify each proposed project, its start year, expected expenditures and the means of funding those expenditures. 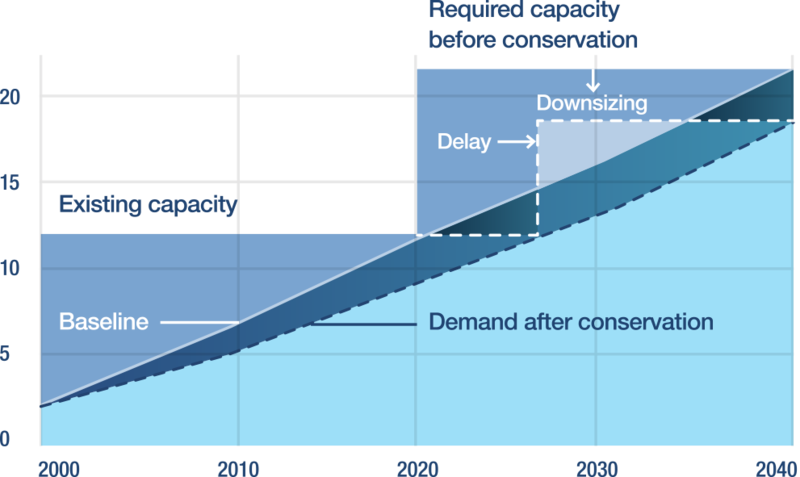 Important note: Nearly everything about drinking water production and infrastructure sizing is based upon “Peak Day Demand,” which is the capacity required for producing and distributing water during the highest collective demand—often during the hottest, driest days of the year. When considering what capital improvement projects are necessary for your community, it is also important to evaluate how managing demand can delay or even avoid the expensive buildout of new infrastructure for supplying drinking water to your community. In order to save on long-term infrastructure costs for drinking water, the City of Aurora, Illinois approved a water conservation ordinance in 2006. This has resulted in a water demand reduction of 20 gallons per person, per day, and has allowed the City to maintain a much lower than anticipated “Peak Day Demand”, even as its population has continued to grow. This reduced demand has reaped huge overall savings for the municipality’s taxpayers by eliminating expensive capital improvement needs. These previously planned infrastructure projects included drilling new deep sandstone wells, the building of required well houses and the construction of collector pipelines to the treatment plant. These capital improvement projects—deferred as a direct result of the City’s water conservation ordinance—saved Aurora taxpayers an estimated $7,500,000 over the past 10 years. As Aurora has demonstrated, saving finite water resources for our grandchildren and saving precious dollars for current taxpayers can both be accomplished through a strong water conservation ordinance. North America has more than 1 million miles of pipes beneath our streets designed to bring drinking water to our homes and businesses. What does 1 million miles even look like? 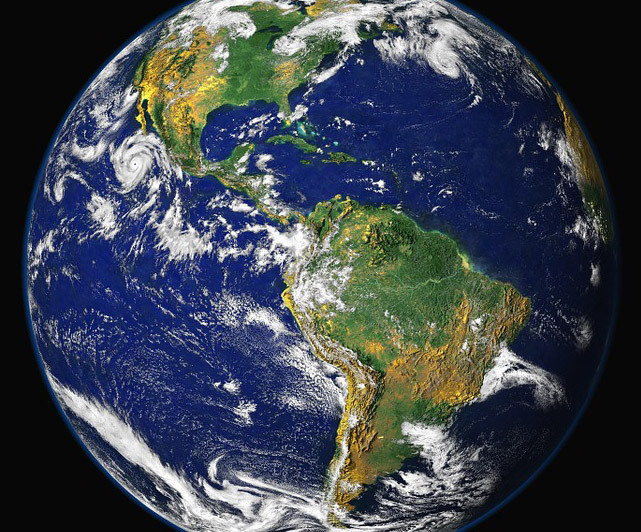 Well, the circumference of Earth at the equator is about 24,902 miles, so one million miles of pipe would wrap around our planet 40 times. 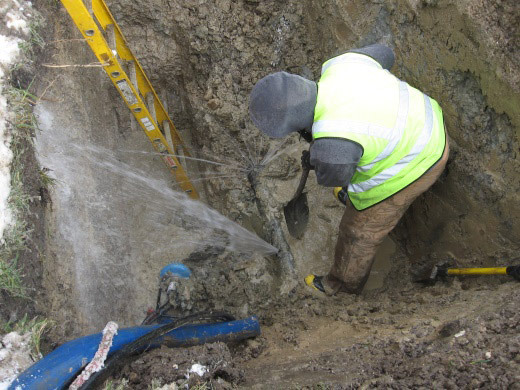 Chicago alone has over 4,400 miles of water mains. That’s a lot of pipe to maintain! Much of our drinking water pipes in the United States were laid in the early to mid-20th Century with a lifespan of 75–100 years. 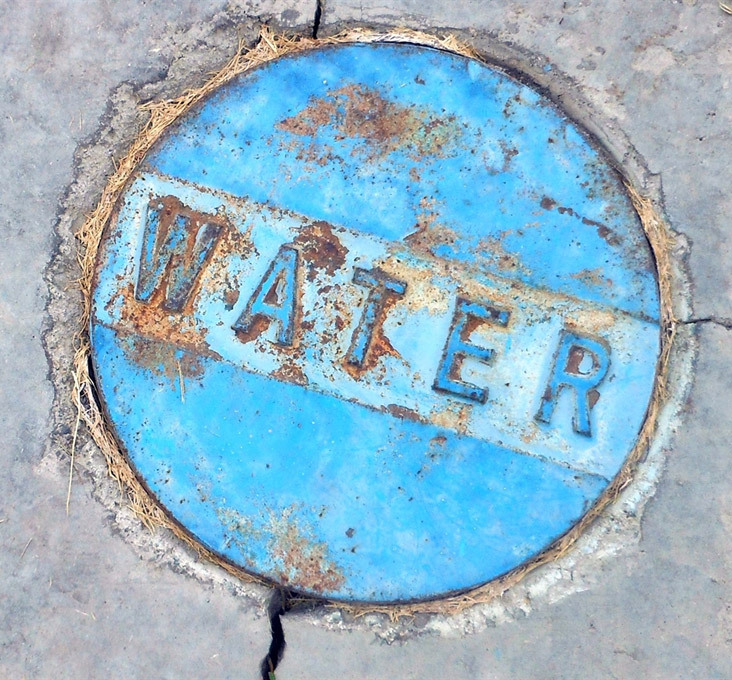 Some of our older urban areas have water infrastructure that’s been in the ground for a century or longer. While much of this infrastructure is beneath the ground—out of sight, out of mind—we can’t ignore it, not when public health is at stake. Water infrastructure does not exist by itself. It involves people: the people who build it, operate it, maintain it, finance it and ultimately use it. The extensive nature of this infrastructure is important, and supporting the reinvestment in this critical utility service is paramount to ensuring your community is safe, and our infrastructure systems are sound. That is why practices such as conducting annual water loss audits and implementing asset management practices are so critical to the safety of your community’s water system. As community officials, public health and safety is a number one priority. Lead is a known toxin and lead poisoning is a serious health condition. Communities have taken action to eliminate lead paint in homes and businesses—the same should be done for lead pipes and fixtures. Water itself does not naturally contain lead. Lead can enter drinking water when old service pipes or fixtures (either owned by the utility or the private property owner) corrode—particularly where the water has high acidity or low mineral content. Conducting an assessment of lead pipes and fixtures within your community’s water system is a first step—and is required by Illinois state law. Likewise, all municipalities need to create a plan to remove full lead service lines, as well as help educate their community members on how to reduce their risk of lead exposure via drinking water infrastructure.The American Water Works Association (AWWA) has a guide for communicating about lead service lines with your community, and MPC has also developed a 10-step guide to assist community leaders and staff in protecting citizens and building public trust on lead issues and actions. Taking action to assist your community’s residents, schools and businesses is critically important today. In addition to the steps and resources provided above, there are a number of useful guides and handbooks available that outline the basics and best practices for implementing asset management programs, creating capital improvement plans and reinvesting in our drinking water infrastructure to ensure community health and well-being. References and links to these helpful resources can be found in the resource section of this guide. The Village of Lansing is located in southeast Cook County, Illinois. The Village purchases its Lake Michigan drinking water from the City of Hammond, Indiana, and has almost 9,400 billed customers—the majority of which are residential, with approximately 650 commercial customers as well. Annual auditing demonstrated increasing water loss in its distribution system, which was due to water meters that were anywhere between 20–23 years old—long past their typical life span. 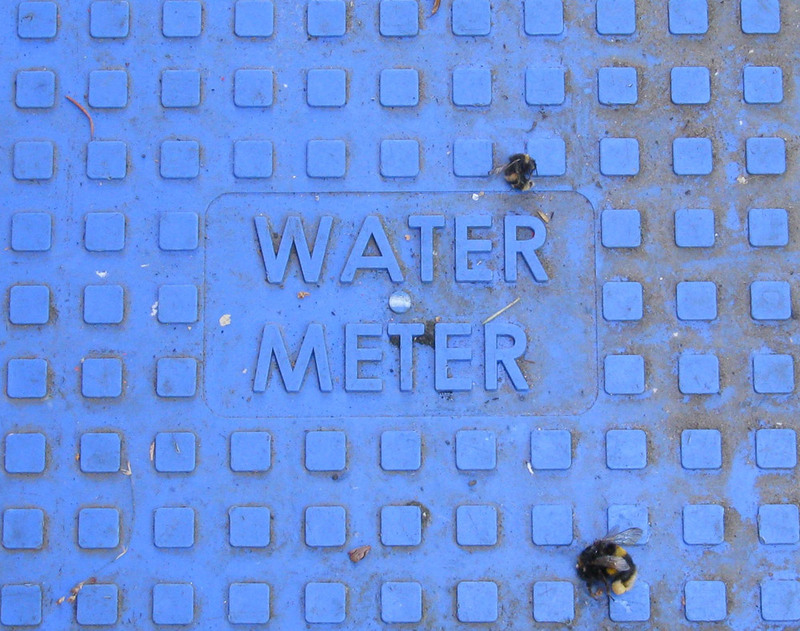 The meters were no longer accurately measuring water usage, which was resulting in non-revenue water for Lansing. In 2014, the Village identified the need for a community wide water meter replacement initiative to reduce its non-revenue water issue. The upfront capital for this infrastructure improvement project is funded through a State Revolving Fund (SRF) loan, and is estimated to cost about 4.9 million dollars, which includes engineering and construction. Lansing is also installing a fixed network radio frequency automatic meter reading system that will allow them to more efficiently collect meter readings and automatically print water bills—both of which will lead to cost savings. The return on investment is calculated to be less than nine years, with annual savings from more accurate meter readings and reduced operational costs covering the current debt. Construction began in 2017, with the new meter system scheduled to be fully operational in 2018. By investing in necessary capital improvement projects, the Village of Lansing is demonstrating that being a good steward of water can go hand-in-hand with saving money on your utility operations. What is our asset management program, and what kind of tools do we use? How often are our system conditions and future needs updated? How are we practicing operational and cost efficiency in our drinking water system? What can we implement or do better to ensure our systems assets remain in good working order? Do we have a capital improvement plan (CIP) for our drinking water system? How often is this CIP updated? How are projects outlined in the CIP incorporated into annual budgets and financing plans? As required by Illinois state law, have we completed a system-wide assessment of the lead pipes or fixtures within our system? What are we doing to replace any identified lead service lines or fixtures owned by our municipality? How are we assisting our community members in testing for and replacing lead pipes and fixtures on private property? United States Environmental Protection Agency. Asset Management for Water and Wastewater Utilities. Washington DC. 2017. United States Environmental Protection Agency. Basic Information about Lead in Drinking Water. Washington DC. 2017.